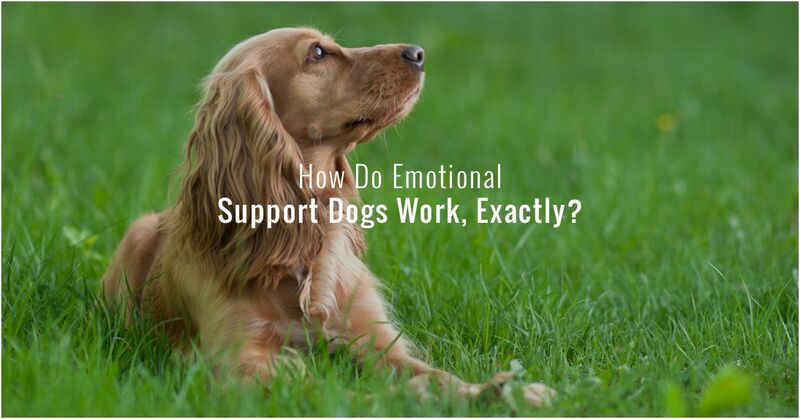 How Do Emotional Support Dogs Work, Exactly? Pets are so much more than mere animals that we keep around the house for our own entertainment. Cats, dogs, and less-common pets bring us joy and a sense of purpose in our day-to-day lives — that’s just a fact. The unbreakable emotional bond that human beings form with animals is, in a sense, ineffable. Whatever chemicals are at work in our brains, again, the fact of the matter is that people and pets love each other. At Royal Pets Market & Resort here in Tampa, we fully embrace the love that our pets give us, and we do our very best to reciprocate it back to our furry friends! Pet Grooming, Veterinary Services, Pet Supplies, and More! If there’s something you need for your cat or dog — be it a toy, nutritional advice, creme rinse conditioner for their fur, or a veterinary check-up, Royal Pets Market & Resort has all of the pet-related services that you’re looking for! Our Tampa pet supply shop fully believes in pampering your pooch, because people aren’t the only animals that deserve a spa treatment every now and then! To learn more about our comprehensive pet shops in Apopka, St. Petersburg, Palm Harbor, and Carrollwood, visit our locations page. If you’re a normal pet owner who enjoys all of the emotional and mental health benefits that having a cat or dog provides, then you should read on below to learn more about emotional support animals — dogs, in particular — and how these incredible little helpers assist people in their day-to-day lives around the world. Feel free to contact Royal Pets Market & Resort today to learn more about how we can help your cat or dog live a happier and healthier life! What Is The Specific Purpose Of Emotional Support Dogs? Now, while the title of our blog post could simply be answered by “Because they’re cute and make us happy!”, which isn’t wrong by any means, it is a little more complex than that. Intended for individuals who are suffering from a range of mental and emotional afflictions, the main purpose of emotional support dogs is to provide comfort and support — primarily in the form of affection and companionship — which results in emotional stability. Could you think of a better candidate for the job when it comes to unending affection and companionship? Breeds like labs and golden retrievers are perfect candidates for the job! Useful in a very practical sense, emotional support dogs can assist with various conditions including depression, anxiety, bipolar disorder/mood disorder, individuals suffering from panic attacks, PTSD, and other psychological and emotional conditions that negatively impact day-to-day life. Simply put, there’s just nothing as comforting as a loving dog’s presence. How Do Emotional Support Dogs and Service Dogs Differ? That’s a great question! While emotional support dogs (ESAs) provide legitimate help with crippling emotional and mental conditions, they are distinct from service dogs, and therefore, do not share the same rights. Service dogs (such as a guide dog for the blind) are generally allowed anywhere the public is allowed, but ESAs are not. This means that your emotional support dog cannot accompany you to a restaurant or movie theater, for example — no matter how well-trained he or she is. The technical distinction between ESAs and service dogs is best explained by the Americans with Disabilities Act (ADA). The ADA says that service animals are considered “dogs that are individually trained to do work or perform tasks for people with disabilities.” So, because emotional afflictions and troubles are not technically or legally considered the same as disabilities, ESAs do not qualify as service animals. Service dogs are specifically trained to perform certain tasks directly related to a person’s disability. Unfortunately, “cuddling on command” (How adorable is that?) is not considered a specific task or job related to a disability. Besides, most good-natured dogs are pretty easy cuddlers as it is! Wait, so we’re saying that these dog hairs get split even further? Technically, yes, but don’t let these distinctions spin your head around too much. Psychiatric service dogs are classified as a subset of service dogs. These specialized dogs work with people who suffer from legitimate mental illnesses as diagnosed by professionals. With the ability to detect the beginning of a psychiatric episode and help ease the effects of said episode (Dogs are extremely intelligent! ), these dogs do more than just ease emotional pain and bring comfort to the owner. Again, as the ADA mentions with service dogs, they must perform a certain task related to an illness or disability. In the context of mental illness, psychiatric service dogs can be trained to remind a person to take their prescribed medication(s), keep a disoriented or dissociative individual from wandering into traffic or into harm’s way, or even perform room searches for a person with post-traumatic stress disorder. Here’s a good takeaway to help you understand all of these distinctions: If it is simply the dog’s presence alone that helps an individual cope, the dog does not qualify as a psychiatric service dog. He or she would be considered as an emotional support animal instead. As we touched on above, emotional support animals do not enjoy the same rights as service dogs who assist people with disabilities or legitimate mental illnesses. However, these comforting pups do have certain rights when it comes to air travel and housing. For one, the Fair Housing Act includes ESAs in its definition of assistance animals. The act essentially states that people cannot be discriminated against due to a disability when obtaining housing. This means that no-pet rules or pet limitations (including species bans or restrictions on pet size) do not apply to these individuals. They also cannot be charged for a pet deposit. The Air Carrier Access Act — an important act to be familiar with if you’re traveling with your pets — allows both service animals and ESAs to accompany their handler in an aircraft cabin. Airlines will almost always require legal documentation, so if you are planning on traveling with your emotional support animal, be able to state the reason you need him or her by your side and ensure that you can provide the appropriate paperwork. No one likes a travel hiccup! ESAs are extremely helpful in so many ways. People in nursing homes, for example, tend to be more active, rely on their medication less often, and experience more overall happiness thanks to the friendly smile of a dog. Some scientific studies have identified the emotional bonding hormone Oxytocin as a means of feeling comfortable and secure when an ESA is nearby. Other brain chemicals involved in our relationship with dogs (and cats) might include dopamine, norepinephrine, and serotonin. 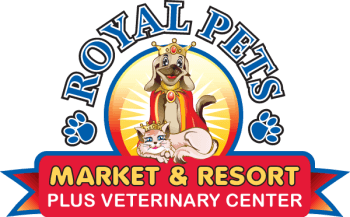 Take Care Of Your Pet At Royal Pets Market & Resort In Florida! Whether you have a standard cat or dog or you need them for a specific purpose, take care of them as well as they take care of you. From dog boarding to dog grooming, pet daycare, pet accessories and veterinary clinic services, we’re the best pet shop in St. Petersburg! Learn more by getting in touch with us today.